No government agency has admitted to be the brains behind Zuma this time. The secret payload is headed to Low Earth Orbit. 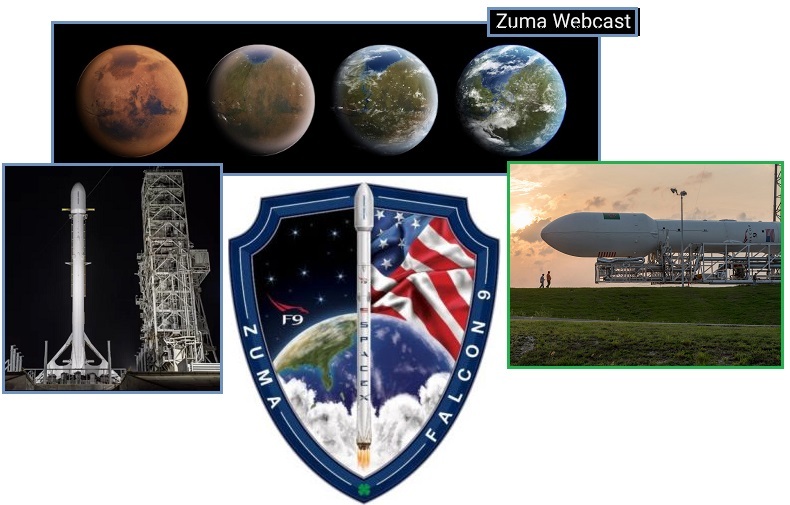 Space X did reveal that Zuma is not related to their ambitions to go to Mars, despite hinting of this on their website and Elon Musk’s known Mars lust. 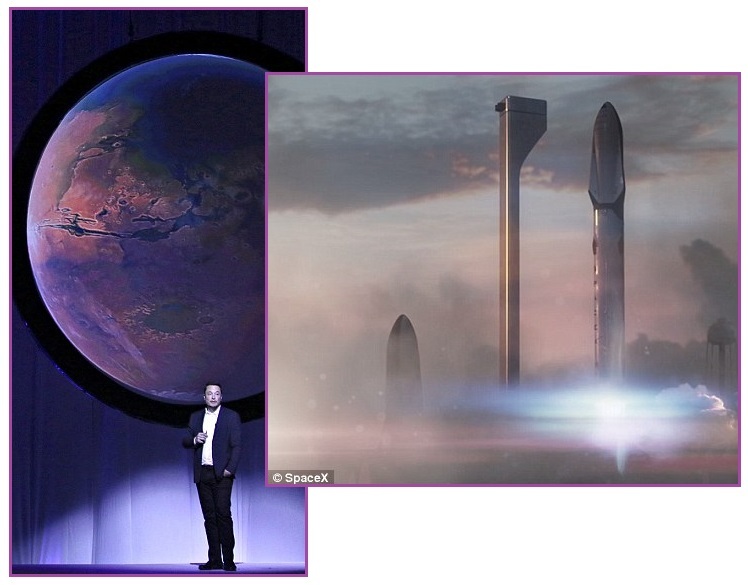 In 2016 Musk marketed his ambitions, stating he is going to establish cities on Mars, colonize Mars, and this is all do-able. Just send your money to him, and he will make all this possible. Per the Zetas, Musk had been engaging in good old fashioned hucksterism - raising money for himself, while making promises. ZetaTalk Opinion 10/1/2016: This is a money making endeavor by Elon Musk. The dates are all set out far enough into the future that he will not be challenged to deliver any but showy demonstrations on the Earth’s surface. Meanwhile, as the Earth changes progress, scaring the wealthy class, he will collect their funds. This will allow Musk and his cohorts to arrange a kingdom on Earth – secure, well stocked, and very high tech. This is hucksterism at its finest, a complete con job. He knows from the smackdowns that the Council of Worlds has given him that he cannot setup on Mars, the latest the dramatic explosions of the FaceBook satellite launch. 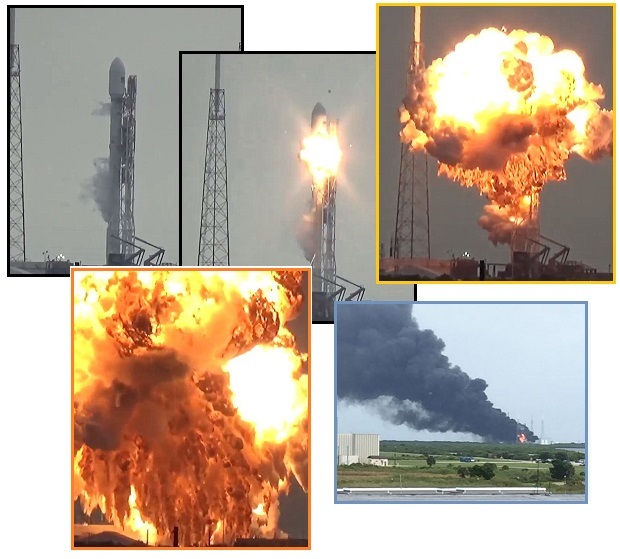 Then Zuma encountered delay after delay, day after day, until Space X stated the launch was delayed indefinitely while technical issues were researched. Apparently, a test launch of the nose cone to be used had to abort, landing in the Pacific. Did they not know this well ahead of time? It would appear that the Council of Worlds was threatening a smackdown, as they had in 2015 and in 2016, and negotiations might be in process. The timing of Zuma’s launch was also oddly connected to the Asia meetings the week before between Putin, Trump, and Xi. As usual, only the Zetas can explain. ZetaTalk Insight 11/30/2017: What is Zuma’s secret mission? Clearly not so secret that the public was not allowed to be aware of the launch. Is this to spy on Nibiru? Zuma is headed for low Earth orbit, so at best would get a view of Nibiru equivalent to what current Satellites receive. Other probes, more than the public knows, have been sent throughout the inner Solar System and been steadfastly delivering updates on Nibiru’s location and trajectory. Earth based observatories are peeking at Nibiru, as are star mapping enterprises such as WISE. Zuma’s purpose is to avoid the eyes of the Deep State. The Nibiru complex is steadily drawing closer to the Earth, preparing for the passage. Can this be determined from image captures? Unlike what the US or China or Russia can determine from their probes, which can triangulate the view from many angles out in space, the common man can only rely on a 2D image capture. Distance requires a 3D perception. But note the increase in size in Alberto’s filtered photos as time passes. 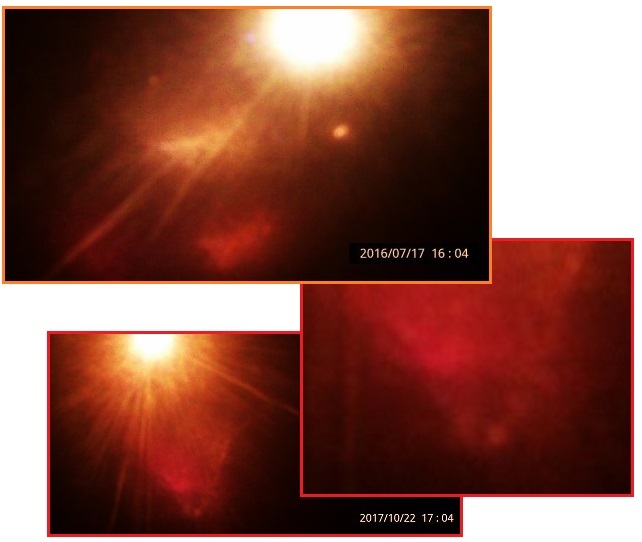 On July 17, 2016 the closely shrouded body of Nibiru can be clearly discerned. But by October 22, 2017, a year later, the Dominant Moons can also be seen just above the body of Nibiru, as well as a complete String of Pearls. 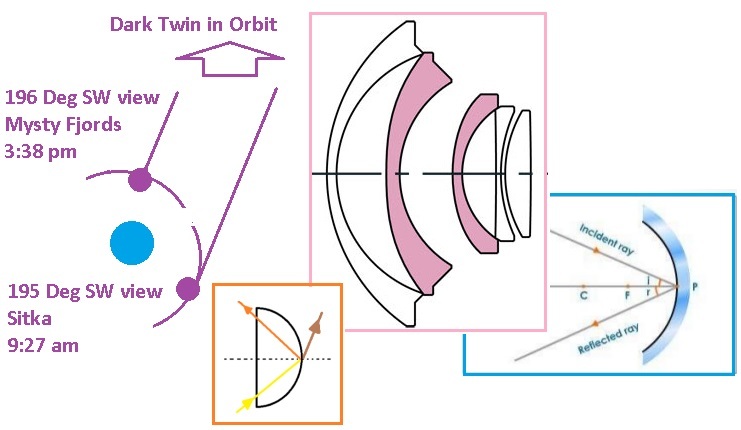 Nibiru’s approach can also be determined from Poli’s captures of Nibiru Daily via webcams in Italy and France. A dramatic capture of Nibiru’s double helix of the two dominant Moon Swirls, which trail closely behind Nibiru on either side, was first captured on September 8, 2014. At that time, the double helix showed up as dense red dust, but now by October 12, 2017 the Dominant Moons, the center of each swirl, can be discerned. 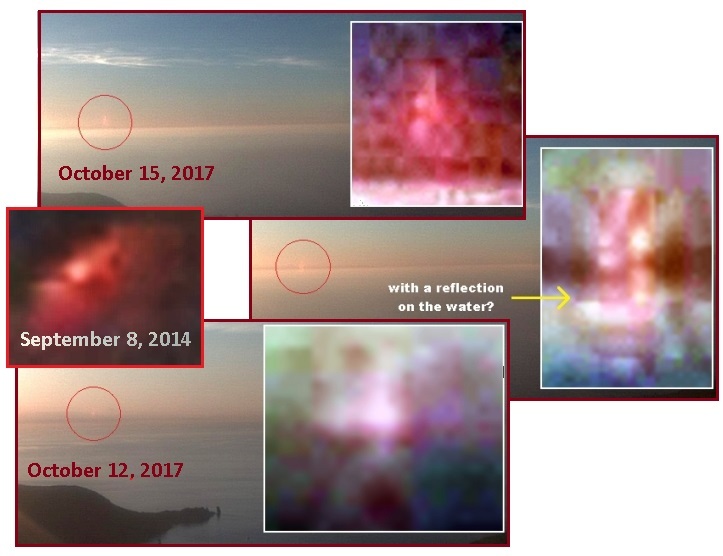 The Nibiru complex has come closer. In Issue 579 of this Newsletter we featured a Monster Dark Twin persona capture taken on August 8, 2017 at 3:38 pm by a South facing webcam along the British Colombia coastline. This monster Dark Twin persona also makes an appearance in some of these FAA cams in the late morning, due to a reflection in the domed glass covers that wide-view cams use. Sitka, also in the far North, shows this at 9:27 and 9:37 am, clearly a glancing reflection on the protruding lens and not from an object directly in front of the cam. Can we determine the Dark Twin’s location in Earth’s orbit from these and other images? Once again, distance is hard to gage from a 2D image, and the Dark Twin may no longer be precisely in the orbit path as per the Zetas, it will drift behind the Earth, attempting to pass the Earth. It is free to move, to evade particle flows, and adjust to any new positions Nibiru or Venus or the Earth might assume. But that it has come closer is clear. ZetaTalk Comment 7/31/2010: The Dark Twin has come up behind the Earth in their shared orbit, and there stopped, halted like the Earth. Because of the increased crowding in the field in front of Planet X, which is moving steadily toward the three planets trapped in the eddy flow cup, it has dropped slightly behind the Earth's orbit. If one were to look down upon the solar system one would see coming out from the Sun first Planet X, then Venus, then the Earth, and finally the Dark Twin. The Dark Twin is somewhat further from the Sun and to the side of the Earth, behind the Earth in their shared orbit. The Dark Twin on occasion is captured on film as a dim monster when light rays which have been bent out are returned to Earth, distorting the original size. 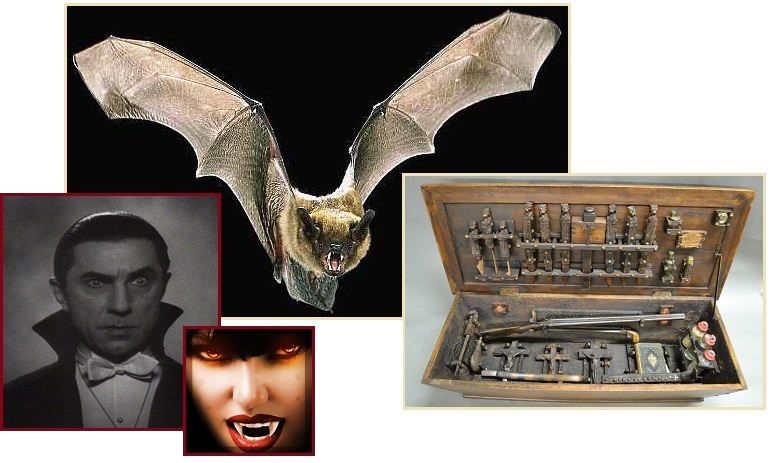 The Zetas have said that Werewolves are rabid humans and that Dragons and Vampires were real, brought to Earth to terrify mankind. But what about Zombies? In 2011 the CDC issued advice on how to survive a Zombie Apocalypse, and in 2012 there was an episode of a psychotic eating another human. The term Zombie Apocalypse was then used to explain riot-control exercises where hoards of starving and stumbling citizens would have to be quelled and controlled. Per the Zetas, the term Zombie Apocalypse was used to avoid having to explain how and why the citizenry would be starving and stumbling about. ZetaTalkPrediction12/14/2002: The next highest die-off will be in heavily populated areas where feeding the survivors simply cannot be done. Anyone crawling from NYC will find themselves in suburbs, endless suburbs, with no expertise in gathering or growing food. Mexico City is likewise so afflicted, in the numbers it houses that cannot possibly escape and dilute their numbers into the countryside, so as to feed themselves. The only food available will be each other, fellow survivors. 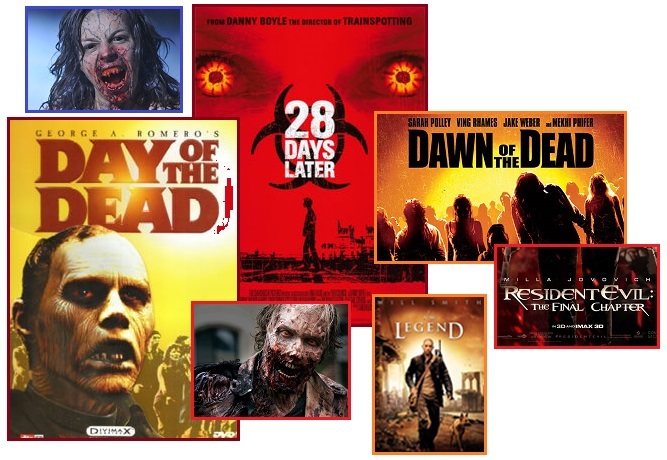 ZetaTalk Insight 11/30/2017: The absolute Zombie obsession found in recent TV series and movies is due to the subconscious awareness of what the End Times may bring. 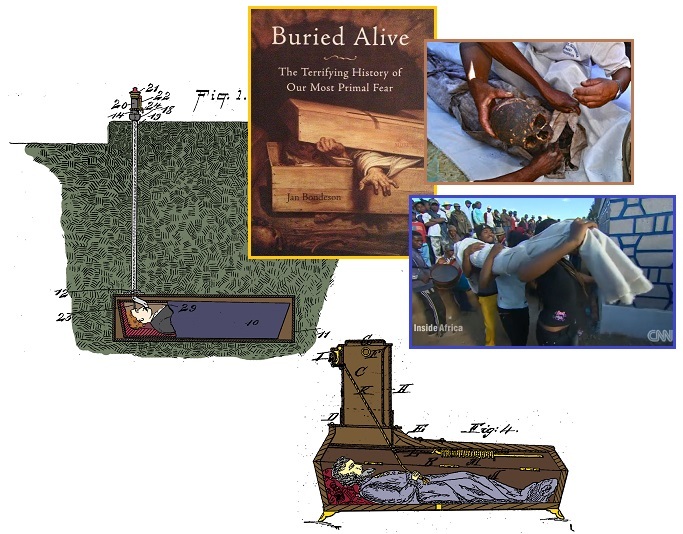 Throughout history there have been incidents wherein the dead rose up and stumbled about, brain damaged from lack of oxygen but still driven by instincts the body formerly possessed, such as hunger and a desire to reconnect with society. Brain death, and the absolute lack of heart beat or breathing, are signs of death in modern medicine but in primitive societies or in ages past, heartbeat could be feeble, breathing extremely shallow, and the temperature of the body cool.